The CSS community gathered on the evening of Saturday, August 12th, for its annual Light of Truth Celebration, which included a potluck dinner and a graduation ceremony for the students in the 2016-2017 Foundation Studies class. At the graduation ceremony, many of the students shared their experiences and appreciation for this year's Foundation Studies teacher, Matt Sieradski. There was a record number of new students in the class. This year marks the 30th anniversary of the founding of the Center for Sacred Sciences. To celebrate this milestone, Joel and several other members shared memories of the early years of the Center. Some of the CSS traditions and teachings were present from the beginning, including Sunday meetings with meditation and teachings followed by tea and conversation, as well as video potlucks once a month. The teachings of the first CSS retreat in August 1987 focused on the Four Principles of the Path: Attention, Commitment, Detachment, and Surrender. Just a handfull of people attended the early meetings and retreats. Joel emphasized that CSS has grown organically over the years in response to the needs and interests of our community. From the beginning, though, the intention has always been to foster a new sacred worldview compatible with modern science, share the universal teachings of the mystics from all the major religious traditions, and support a community of spiritual practitioners. As is the tradition, the celebration also included music and dance. Consciousness Alone is Absolutely Real. Ignorance of the Real is the root of suffering. cultivated on the basis of Love (boundless compassion) and Truth (profound insight). embodied in Four Disciplines: Inquiry, Meditation, Morality, Devotion. The Way of Selflessness is the very way in which Consciousness Perfectly Realizes Itself. If we compare the testimonies of the mystics from the major religious traditions about the Nature of Reality, we find that — despite vast separations in time, place, language, and culture — they are strikingly similar. One of the primary goals of the Center for Sacred Sciences is to preserve and promote the teachings of these mystics and to show exactly what it is they have in common. The Center maintains a lending library containing thousands of books, audio CDs, video DVDs, magazines, and journals for patrons to explore the classical teachings of the mystics from all the world's religious traditions. Here we feature reviews of a few items in the collection. See the Library Blog for reviews and new additions to the library. The library also has a book club that meets monthly. This book is a classic must-read for those who recognize the devotional aspect of their path. 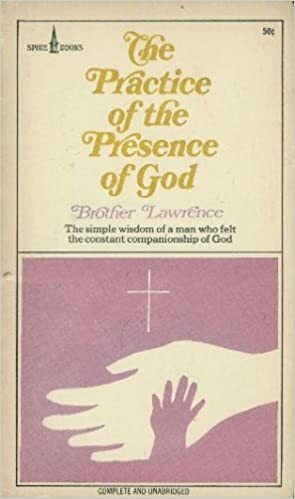 Readers who can see past Brother Lawrence’s somewhat ornate sentences will find a gem of the devotional life, the same message of humble love shining from many facets. At age 58 the Dalai Lama said it was time for him to prepare for his death. The author, being the same age, decided to follow his example. Having decades of experience working with dying people as well as with meditation practice, he had some awareness of the types of problems that arise and ways to pursue completion. With the start of a new year, he began a year of dying practice, refining as he went and discovering benefits together with complications (such as the necessity of planning his schedule a minimum of a year in advance while living as if he would not be in the body by then). 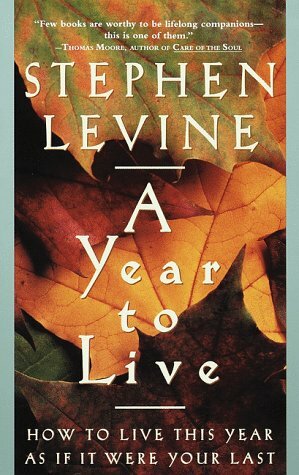 In this volume, Stephen Levine offers meditations, mindfulness practice, journaling approaches, methods for finishing business, and living ever more in the present. From his experience he describes emotions that arise and dissolve — holdings and releases — and the softening into life that can develop when entering fully into these practices. Ultimately, A Year to Live is about living and releasing one moment at a time — being with whatever arises. Good advice for anyone. 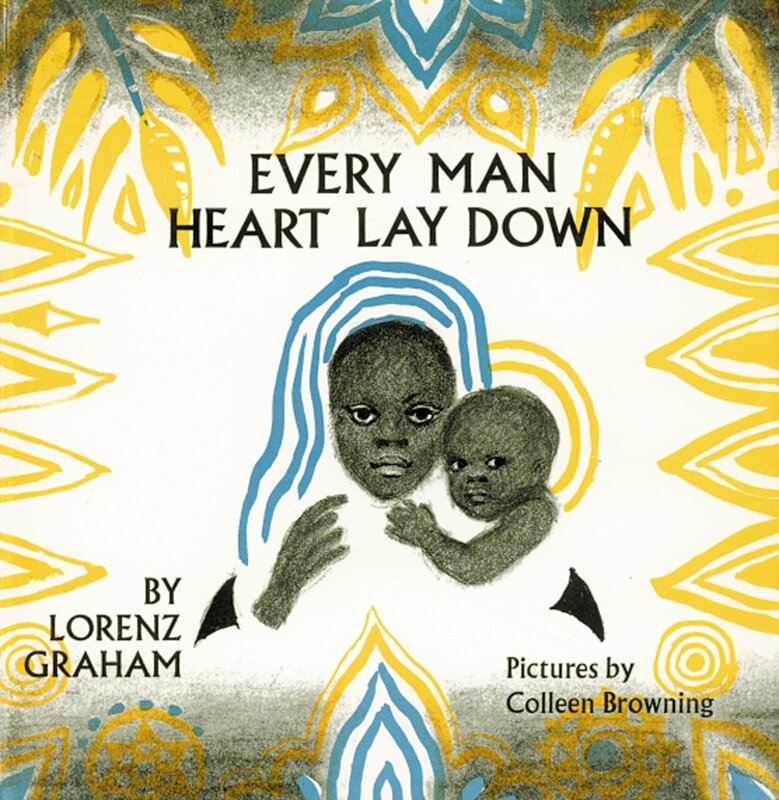 by Lorenz Graham, with Colleen Browning illust. This innocent-looking little book breathes new life into the ancient nativity stories. In fact it has so much life of its own that it will make you forget the old well-worn versions altogether. In an African setting, the story is narrated in beautiful, brief, broken English with a surprising power to communicate true depth. The simple illustrations splash preconceptions out of your head, leaving wonder in their wake. When I first read this book I almost fell out of my chair when I reached the last page. It is glory, beauty, and a five-word description of the mystical experience.